The Computational Biology Lab conducts analysis of bacterial toxicity, bacterial evolution, human genetics and functional annotation of genomes. Research activities involve the development of novel efficient algorithms and tools for biological data analysis using high-performance computing, focusing on statistical modeling; computational genomics; pharmacokinetics and pharmacogenomics; genome annotation; biomarker discovery; and transcriptomics. 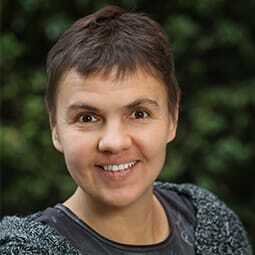 Together with researchers from the National Geographic Genographic project, Tatarinova developed a novel algorithm, Geographic Population Structure prediction, to accurately predict geographic origin of individuals worldwide. With the GPS tool, they are able to take unknown samples, identify the proportions of admixture (genetic characteristics specific to certain ethnic groups that were combined because of events like migration or invasion), and then calculate the distance to the nearest known population that shares the same admixture signature, in order to identify place of origin. According to the researchers, in ethnically diverse regions like the United States, where many people know only a few generations of their descendants, this kind of screening has important medical implications. Discovery of certain genotype might indicate the potential for a genetic disease and suggest that diagnostic testing be done. Also, as scientists learn more about personalized medicine, there is evidence that specific genotypes respond differently to medications—making this information potentially useful when selecting the most effective therapy and appropriate dosing. The investigators are currently designing a study to correlate pharmacokinetics, the time course of drug metabolism, with genotype.